So I guess I should start out by saying I am the Fox Valley Foodie. Hi. You probably can’t see it, but I am waving at you right now, at least figuratively. If you can physically see me waving you are most likely leering in my window and I am going to call the cops on you. So, stop it. 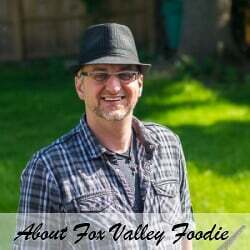 I created FoxValleyFoodie.com in 2012 as a creative outlet to tame my culinary obsessions. I never dreamed it would turn into my full-time job. 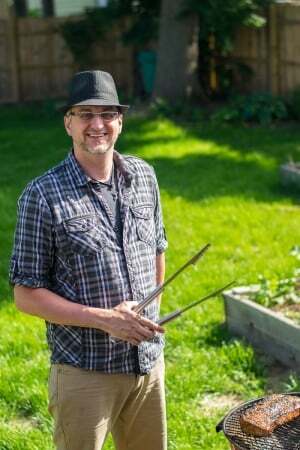 My wish was simply to create a website where I could share my passion for food with others and maybe occasionally make people laugh at a lame joke or two. Few things make me happier than hearing about someone enjoying my recipe or my writing. I blog about what I love – My favorite recipes, my family, my life. This blog is me. It’s informative, self–deprecating, honest, authentic, and most importantly, fun. I love everything epicurean. I have been told more than once that I am a food snob, and it is a moniker I happily embrace (though epicurean snob would be more encompassing, but I think that is a word mainly food snobs use). I love food made from scratch, craft beers, my annual cigar, and I enjoy getting odd looks from people in a dive-bar when I order my whiskey neat. I hail from Wisconsin’s Fox Valley where the only thing longer than the winter is the wait to get a table at one of the local Friday night fish frys. Do you need to be from the Fox Valley to enjoy my blog? Absolutely not. Though we would love for you to experience our corner of Wisconsin, FoxValleyFoodie.com is written for everyone. 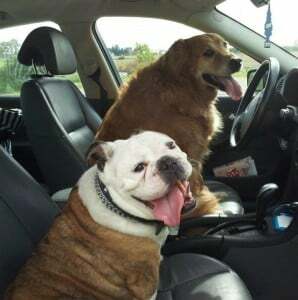 I have also been blessed to pick up some hitchhikers in my life since this blog first pulled onto the information superhighway. I met a beautiful woman who decided that spending the rest of her life with me could be tolerable; I have an amazing stepson, and a perfect baby girl! You will probably hear me mention them once or twice (a week) in my blog posts. I am kind of obsessed with my awesome family. Luckily for me, they tolerate the long hours I spend sitting at the computer trying to grow this blog. Most likely because I bribe them with food. I wasn’t always a foodie. Growing up I was the world’s pickiest eater. I was mostly skin and bones, primarily due to the fact that the heating vent next to my dinner seat secretly ate more of my food than I did! Though, something changed once I finished college. I wanted to eat great food but I didn’t want to pay restaurant prices to do it. So I started to teach myself how to cook, discovered that I loved it, and the rest is history! So pull up a seat and come share a love of all things culinary with me. You can stay on top of all my latest ramblings by subscribing here. Otherwise, drop by my Facebook page to say hi, or feel free to browse my pins on Pinterest. My readers are my top priority, so never be bashful. This blog is just a poorly locked diary without you.